It is amazing how overregulation can lead to immense corruption and crimes of opportunity. This fact has been proven throughout history time and again. The most common and notable example is the prohibition era in the United States. Banning alcohol in the early 20th century was predicted to enhance the general quality of life for American families. However, this had a very adverse effect: it led to local underground speakeasies and moonshine. Even worse, it laid the foundation for organized crime. History was seen to repeat itself later on in America with the war on drugs. More distant, in a Caribbean nation far less restricted by legislation, I have witnessed this phenomenon take place again. It was witnessed on a much smaller scale, however was rooted with the same basic fundamental principle. I spent a substantial amount of time on this small Caribbean island with a rather lax attitude toward nearly everything. Everything seems so careless and unrestricted, yet crime is low. Upon my first visit, I noticed that parking of motor vehicles was fairly unregulated. This was a culture shock for me, coming from New York, where each corner has a dozen or so parking regulation signs. On the island, anyone can leave their car anywhere: parked on the sidewalk, in a ditch, on a dirt road, on the beach, head in, back in, angle parked—it simply didn’t matter. Upon my second visit to this country, I found that with the increased tourism and infrastructure redevelopment projects, the island was in need of capital and more regulation. The need was satisfied through the development of a national parking authority, which restricted parking from 7 a.m. – 7 p.m. 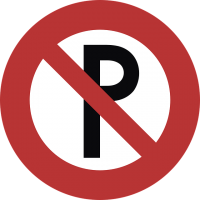 The restriction requires paid parking on public streets and parking lots throughout the majority of the island. It costs $2 of the local currency, which is the equivalent to $1.14 in U.S. dollars and is paid via muni-meter. A large portion of the tourist area is surrounded by restaurants, casinos and hotels. Many of these establishments have private security that patrol the area, provide a basic public safety function and wear uniforms that make them highly resemble police officers. The security guards are in a position of public trust and should not abuse it. With the new parking regulations, however, I witnessed uniformed security guards approaching tourists and explaining false information regarding the parking restrictions. For instance, the security guards told tourists the muni-meters only accepted local currency, even though they also accept American currency. The security guards made a noticeable effort to make the tourists feel uncomfortable about leaving their rental cars unattended in the area and propositioned them, suggesting that the tourists not pay the meter and instead allow them to keep a special eye on the tourist’s car for a fee of $10 (U.S.) per hour. Some may see this offer as capitalism at its finest. This is a social contract and a deal. Others may see it as corruption, misconduct and a crime of opportunity. This situation could be seen as a rip-off of unsuspecting tourists and of the large corporate resorts hiring local security guards who are double-dipping. This is a small scale example of how unnecessary overregulation can have a butterfly effect, leading to crimes of opportunity and corruption. It is also an example of how crime knows no bounds and how basic human nature remains the same across nations and cultures. Author: Derek Skuzenski has worked in emergency services for nearly 10 years. He is a firefighter, emergency medical technician and captain for the Roslyn Fire Company, as well as a deputy sheriff with the New York City Sheriff’s Office. He has a master’s degree in criminal justice from Long Island University and is pursuing a doctorate in public policy and administration focused in emergency management.